Cé go ndéanann muid i gcónaí ár ndícheall ar scoil – ar son na bpáistí agus, dár ndóigh, ar ár son féin – bíonn i gcónaí rud nó dhó gur féidir liom a chur i bhfeabhas. Seo 5 rúin atá le leanúint agamsa go pearsanta…..céard atá ar intinn agat féin? While we all do our best at school all the time – for the children, and indeed for ourselves – there are always one or two things that I feel I could improve. Here are 5 resolutions that I personally am aiming to stick to…..what do you have in mind? Tabhair i bhfad níos mó moladh // Give lots more praise. Mol an Óige agus Tiocfaidh Sí. Gach seans go bhfuil sibh á mo cheistiú anois – cén sórt rún é sin? Is é beagnach an chéad rud a deirtear dúinn sna coláistí múinteoireachta éagsúla agus cinnte, bíonn páistí á mholadh agam go mion minic. Is cuid den lá scoile é, is cuid dár ról é. Ach d’fhoghlaim mé i mbliana don chéad uair, mar gheall ar pháiste áirithe atá á mhúineadh agam, an draíocht a théann le moladh. Tuigim anois – go hiomlán – an difríocht gur féidir a dhéanamh le moladh – fiú le miongháre. Mar sin, i 2016 tá mé chun i bhfad níos mó moladh a thabhairt amach agus níos minicí – ní amháin don páiste sin, ach dóibh uilig. Tá na cártaí molta as Gaeilge ar fáil anseo. Mol an Óige agus Tiocfaidh Sí. There’s every chance that you’re questioning me now – what sort of a resolution is that? It’s nearly the first thing we’re told in the various teacher training institutions and sure, I praise my students all the time. It’s part of the school day, it’s part of my role. However, it is only this year, while teaching a specific child, that I have seen the magic that goes with praise. I now understand – in a way I didn’t before – the difference that praise can make, or that even a smile can make. With that, in 2016, I will be throwing out lots more praise, lots more often – not just for that one child, but for all of my students. 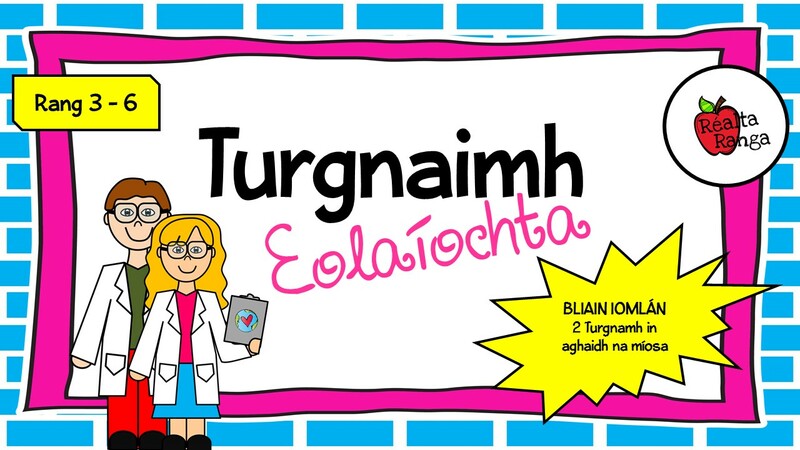 I have made cards to give the children (as Gaeilge) and they are available here. Seo rud amháin a bhí ar intinn agam a chur i bhfeidhm ag tús na bliana ach, faraor, níor tharla sé go fóill. Anois an t-am! Tá múinteoir eile a oibríonn liom a rinne cúrsa ar an bpiar-theagaisc seo agus a chur i bhfeidhm anuraidh, mar scéim píolóta sa scoil. Deirtear sa taighde go dtagann bhfeabhas cuimsitheach ar thorthaí na bpáistí agus níor chreid muid go hiomlán go dtí go bhfaca muid é – bhí sten níos airde ag gach páiste seachas duine amháin sa rang sin. Uair amháin sa tseachtain atá i gceist ina mbíonn na páistí ag obair ar fhadhbanna focail i mbeirteanna (de réir chumais) – duine amháin mar theagascóir agus an duine eile mar theagascaí. Ag leanúint an fráma ceistiúcháin múineann siad agus foghlaimíonn siad óna chéile. Scríobhfaidh mé póstáil iomlán faoi seo nuair atá sé tosaithe agam agus tá na hacmhainní ar fáil anseo. This is one thing I had intended to implement at the beginning of the year but, unfortunately it hasn’t happened yet. Now is the time! Another teacher I work with completed a course on peer-tutoring and implemented it last year, as a sort of a pilot scheme in the school. The research all suggested that the children’s abilities and results would be greatly improved. We didn’t fully believe it until we saw it for ourselves. The children in his class went from strength to strength and all bar one increased their Sten scores at the end of the year. It involves one hour per week where the children work on word problems in pairs (according to ability) – one is the tutor, the other the students. By following a framework of questioning they teach and learn from each other. I will write a full blog post on this when I have it fully up and running and I have also made some accompanying resources which are available here. Is dóigh go bhfuil muid uilig mar an gcéanna – go bhfuil rudaí éagsúla gur fearr linn múineadh agus rudaí eile nach ndéanann muid minic go leor ar chor ar bith. Tá súil agam nach díreach mise amháin atá ann. I mo chás féin, bhfearr liomsa Gaeilge nó Béarla a mhúineadh aon uair in ionad mata nó eolaíocht. Gan dabht, ní ligfinn dom féin an mhata a fhágáil ar leathtaobh agus, mar sin, ní chóir go mbeadh a leithéid ag tarlú i gcás eolaíochta. Admhaím nach ndéanaim dóthain ar chor ar bith. Tá athrú ag teacht ar an scéal sin i 2016! An phlean atá agam ná dhá thionscnaimh a dhéanamh in aghaidh na míosa – agus pé rud a ghabhann leo. Is féidir na 20 tionscnamh chomh maith le teimpléad tuarisce a fháil anseo. I’m sure we’re all the same – that there are certain things we love to teach and other things we avoid and don’t cover often enough at all. I hope it’s not just me. In my case, I would rather teach Gaeilge or English any time over maths or science. Without a doubt, I would never allow myself to skip over maths lessons and so, I shouldn’t be allowing this to happen with the science. I admit I don’t teach enough of it at all. But that’s going to change in 2016! The aim is to do cover two science experiments per month – along with the theory and information that goes along with them. I’ve made a plan so that this is easy to stick to. You can get my plan, along with 20 experiments and a reporting template here. 4. Na cláracha bhalla a athrú níos minicí // Change wall displays more frequently. Seo ceann simplí. Tá mé go dona ag athrú na rudaí atá ar na ballaí i mo sheomra. Cinnte, tá rudaí éagsúla ann a bheidh ann ó thús deireadh na bliana ach ba cheart go mbeadh na téamaí agus obair na bpáistí féin á athrú agam níos minicí ná mar atá. An rún ná – clár amháin a athrú in aghaidh na seachtaine! This is a simple one. I’m disastrous when it comes to changing what’s on the walls in my classroom. Granted, there are certain things that I choose to have up all year but the various themes and the children’s own work should be changed more often than it is. My resolution is – to change one display board every week! 5. Fágáil níos luaithe // To leave earlier. Agus ar deireadh, ceann atá tábhachtach domsa go pearsanta. Tárlaíonn sé go minic domsa go mbím ar scoil go dtí a sé a chlog – nó leath i ndiaidh a cúig ar a laghad. Ní a thuilleadh. Fuair mé nuacht cuíosach deacair ó thaobh sláinte de le déanaí agus, go bunúsach, tá orm anois aire níos fearr a thabhairt dom féin. Mar chuid de sin, táim ag geallúint dom féin go bhfágfaidh mé an scoil roimh leath i ndiaidh a ceathair gach lá. Muna bhfuil sé déanta faoin am sin – ní bheidh sé déanta inniu. Last, but not least, one that’s important for me personally at the moment. I find that more often than not, I’m in school until about six o’clock – or at least until half past five. Not anymore. I got pretty hard news healthwise recently and basically, I need to take better care of myself. With that in mind, I’m promising myself that I will leave school before half past four every day. If it’s not done my that time – it won’t be done today. Sin é daoibh – na rúin scoile atá agamsa i gcomhair 2016. Ba bhreá liom cloisteáil – anseo nó ar Facebook – faoi na hathruithe atá ar intinn agaibh féin don bhliain úr ar scoil. Cabhraíonn muid lena chéile tríd na pleananna sin a roinnt. Níl aon duine againn foirfe – ach déanfaidh muid iarracht a bheith!!! So there you go – the school resolutions that I have for 2016. I’d love to hear – either here or on Facebook – about the changes you all plan to make for the new year in school. By sharing, we all help each other. None of us is perfect – but we can try!! I’m a student teacher and currently in my finally year, it’s reassuring to see that even though you’re a fully qualified teacher, you still feel you’ve aspects of your teaching to work on. Fair play to you acknowledging that some aspects of your teach in science need to be improved upon, as you say, we naturally are inclined towards some subject areas over others, so it’s nice to see a proactive approach being taken with the ones you feel less comfortable with. Love the blog, went to a Gaelscoil myself and meanscoil Gaeilge, it’s great to see Irish resources becoming more readily available. I think most teachers would agree that whether it’s 3 or 30 years you’ve been teaching, you’ll probably never find yourself at a point where you can’t improve. The failings may vary over the years but as long as we keep striving to improve then we’re doing all we possibly can. Go n-éirí go geal leat i mbliana agus má tá tréimhse chleachtadh múinteoireachta de dhíth ort i nGaelscoil…inis dom.